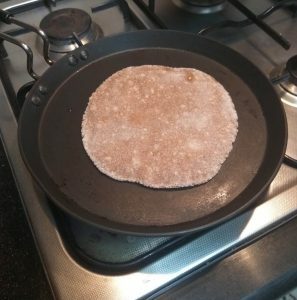 Ragi/finger millet flour roti is a staple food of southern Karnataka. Ragi has unsaturated fat content, and good for weight loss. 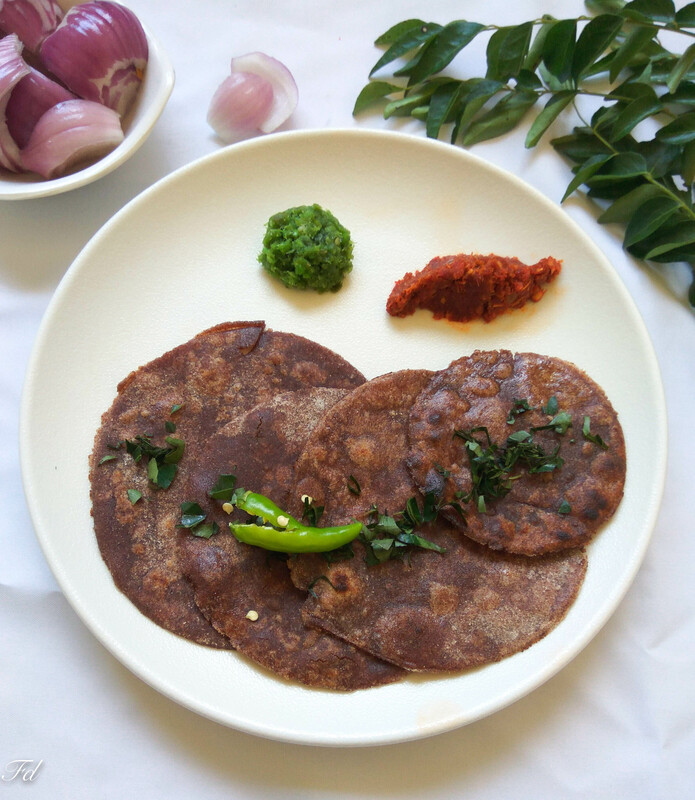 Ragi has a higher rate of fiber compared to any other grain, and fills your stomach preventing unwanted cravings. 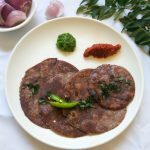 So with cost effectiveness Ragi is a must include super food in your menu. 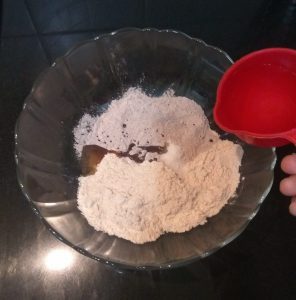 Mix ragi flour and wheat flour with salt and oil to make dough adding 2 tsp oil. Set aside for 15 minutes, knead again to make the dough soft. 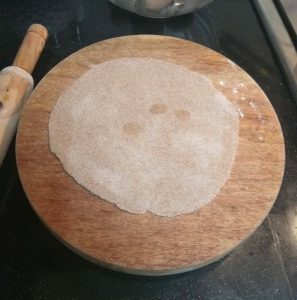 Make small ball (about the size of a small lemon) , and using a rolling pin roll out into chapattis. Cook both sides on tawa. Serve hot with chutney or your favourite curry. 1. 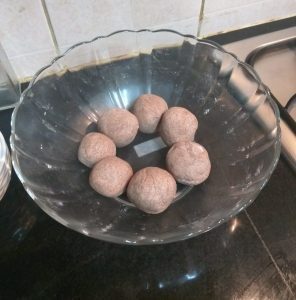 Mix ragi flour and wheat flour with salt and oil to make dough adding 2 tsp oil. Set aside for 15 minutes, knead again to make the dough soft. 2. Make small ball (about the size of a small lemon) , and using a rolling pin roll out into chapattis . 3.Cook both sides on tawa.